Global geopolitics is rapidly changing. Triggered in part by systemic crises, and alongside the ever-present power of private sector actors, new powers are emerging. These new powers include the BRICs (Brazil, Russia, India and China), regional political and economic blocs and communities such as the European Union, the Association of Southeast Asian Nations (ASEAN), the Mercosur, the African Union, and the Southern African Development Community (SADC), and new groupings like the G20. At the same time, transnational networks of civil society organizations, loose associations of diverse groups and social movements are coming together in powerful ways. Making increasing use of tools such as social media, they are influencing the agendas of these new powers and working to hold them accountable to the demands of women and other excluded groups. Meanwhile, powerful nations and actors, have systematically weakened the UN’s power as a multilateral negotiating body, undermining its capacity to uphold human rights and influence global economic and development policies. International financial institutions such as the World Bank and International Monetary Fund have lost credibility but continue advancing market-oriented policies and have been reinvigorated by resources made available to respond to the financial crisis. What are the implications of these geopolitical changes for transforming how economic power is exercised at the global level? What do they mean for the advancement of women’s rights, gender equality and justice agendas? 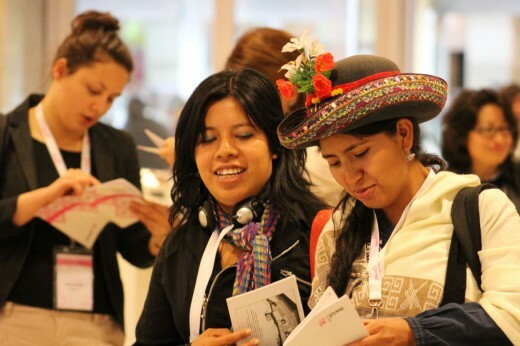 How are feminists and women’s rights activists engaging with regional processes and blocks, including South-South cooperation efforts? And how are those processes advancing or hindering women’s rights and justice? What kind of global system could ensure more democratic participation of all states, particularly the poorest ones, in the enforcement and implementation of international reforms, rules, and standard setting? How can diverse civil society groups effectively participate in global economic decision-making? How should UN Women play its part and what does this new body mean for women’s and feminist movements?